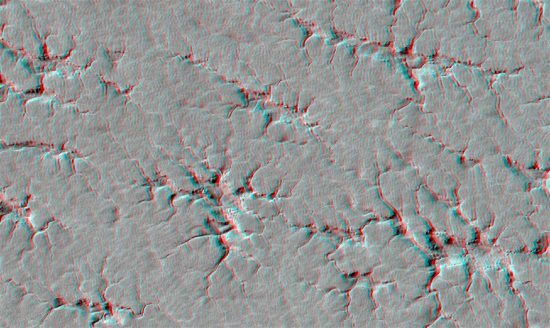 3D anaglyph of Martian spiders. Credit: NASA/JPL/University of Arizona. Click to enlarge. Martian formations are similar to those found elsewhere in the Solar System, including Earth. Lichtenberg figures are discussed many times in previous Picture of the Day articles. They are forking shapes that lightning bolts make when they strike Earth or some man-made object. Their unique configuration can be seen in acrylic blocks charged with thousands of volts at high amperage, leaving a tracery of the electrical pathway visible in the otherwise transparent plastic. It is possible that lightning bolts of sufficient power could do the same thing on a monumental scale, since electricity’s effects are scalable to many orders of magnitude. Analyzing Lichtenberg figures that remain when acrylic blocks are discharged after exposure to a multi-million volt electron beam accelerator reveals that the discharge begins as a fine tracery, merging into larger channels through the block. Electrons exit the block through a single point of conduction—a nail, for example—leaving a filigree of dendritic channels behind. Closeup images of the channels show that they are hollow. 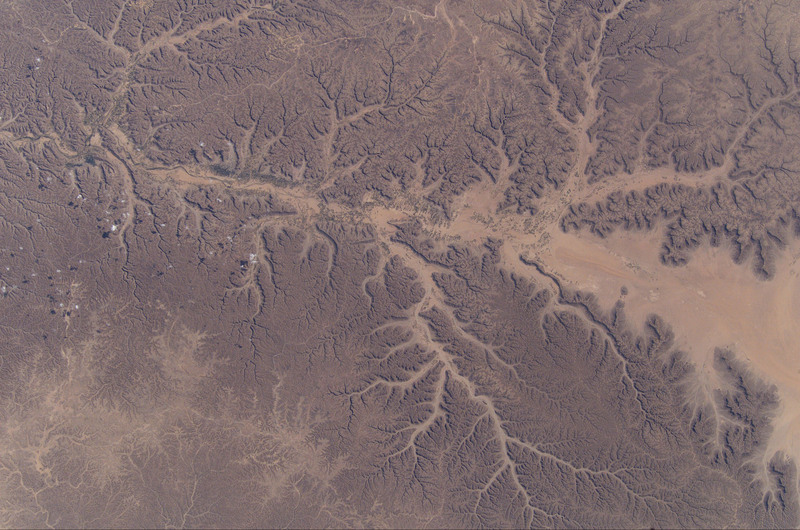 Discharge patterns on Earth are preserved in the some of the driest deserts. Dry gullies (wadis) and steep cliffs in Yemen appear to be fossils carved by tremendous floods after the last Ice Age. According to conventional theories, as glaciers in the region melted, they carved a vast drainage system, leaving it as a vestige from a wetter era with a more temperate climate. Since the last Ice Age is supposed to have ended 15,000 years ago, the sharpness of the cuts into the stone and the fine detail that can be seen in the thousands of “finger canyons” that branch out in all directions belie a watery birth. Indeed, Martian topography demonstrates “erosion” patterns like those in Yemen. The same multi-branched canyons, steep walls, flat bottoms, sinuous rilles, and rims with scallop-shaped cutouts are so much like the ones in Yemen that transplanting Mars to Earth or vice-versa would be undetectable. In the image at the top of the page, a network of Lichtenberg figures from the northern hemisphere of Mars is shown in extreme closeup. The patterns cover thousands of square kilometers just south of the Martian north pole. 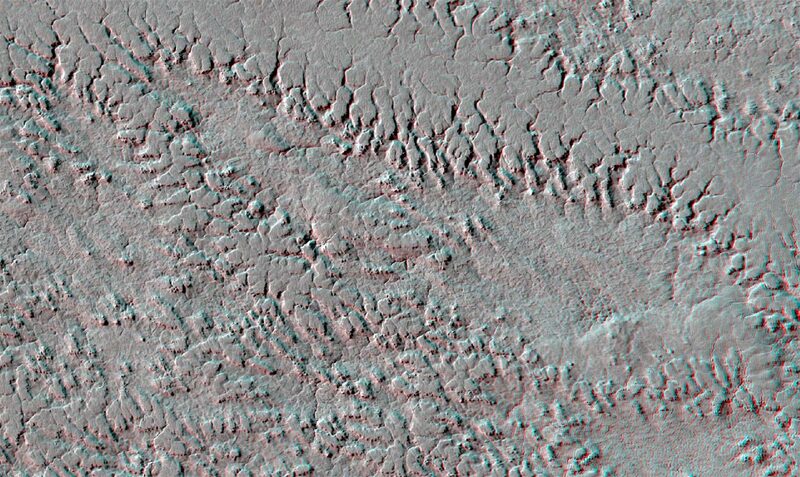 Some planetary scientists suggest that they are “drainage channels”. However, it is not known how drainage can occur when the figures radiate from a central point. Another theory is that carbon dioxide ices might sublimate beneath the Martian regolith, leaving an imprint of their passing once they evaporate; although no experiments with sublimation processes produce a consistent branching formation like those on Mars (or Earth). Electricity creates the pattens seen in both cases.